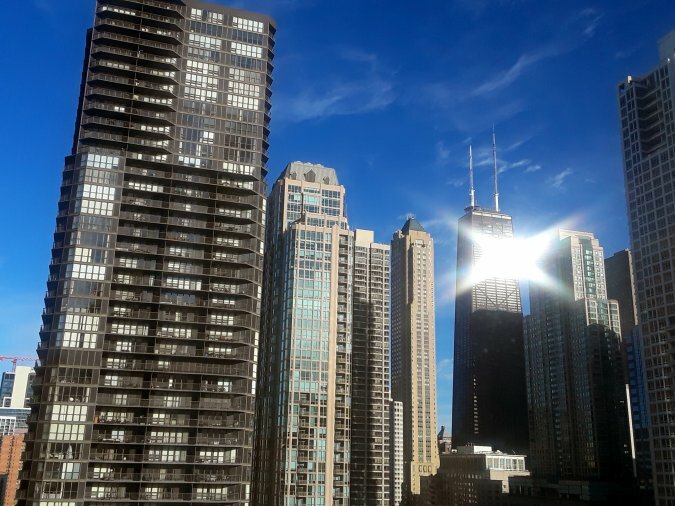 Week before last, while in the midst of posting the 2017 PopCult Gift Guide, your PopCulteer snuck out to Chicago for a birthday trip for Mrs. PopCulteer. We had a blast because Chicago is really special this time of year. It’s also cold as hell, but it’s a special kind of cold. As has become custom whenever I take a trip and have a camera handy, you’re going to get a PopCult photo essay of the highlights. Because our new blogging template is still a bit wonky, you’re actually going to get three of them. They’ll each have ten pictures or less, but this way I can caption them without making the website crawl off in the corner and die. 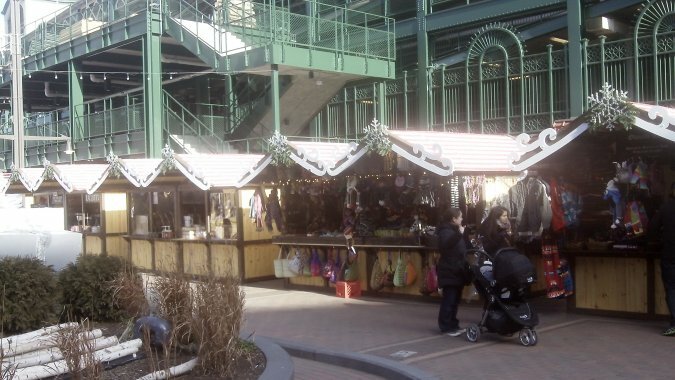 In this post We’re going to look at the sights of Chicago as we get settled in, and also as we took a trip to Wrigleyville to check out the new pop-up Christkindl Market. 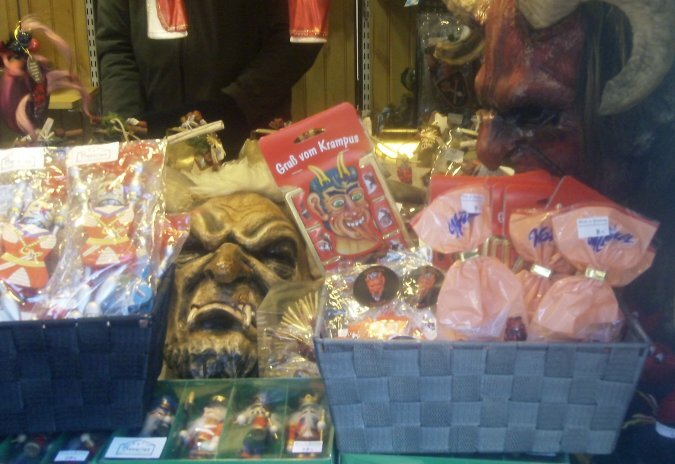 Christkindl is a huge outdoor bazaar that sets up in Daley Plaza and has dozens of little kiosks that sell ornaments, scarves, gloves, trinkets, as well as Hot Chocolate, Gluvine, Apple Cider and true to its German origins, hot pretzels, sausages, latkes, and tons and tons of imported candy. It’s always packed at Daley Plaza, but through the week the new location at Wrigley Field proved to be way more accessible. 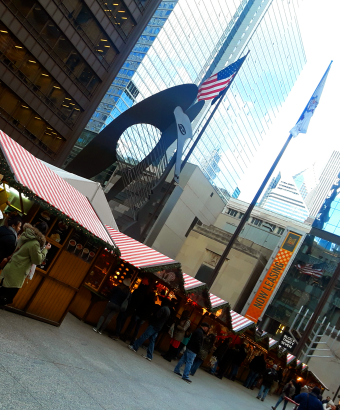 The image at the head of this post shows the Picasso in Daley Plaza looming over the mid-morning crowd for Christkindl Market. You’ll se a bit of a difference when we get to Wrigley. But first, let’s get into town. 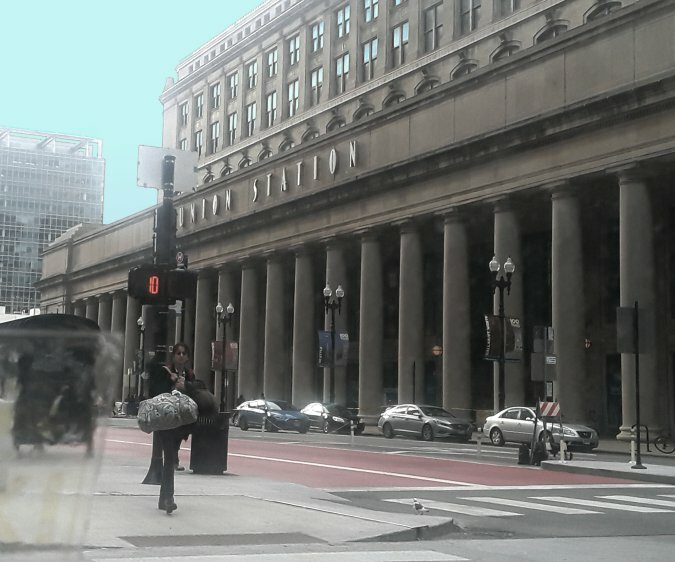 I finally remembered to turn around and take a picture of Union Station from the cab on the way to the hotel. This is where our train pulls in. The view from our hotel window, with a spectacular real glint on The Hancock Tower. 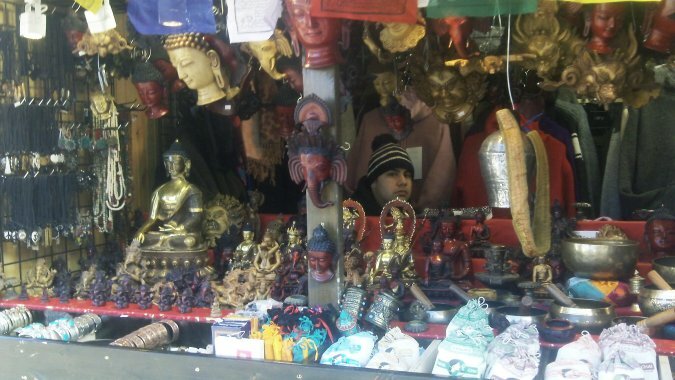 This photo has not been manipulated in any way. Look up. I think we found Wrigley field. 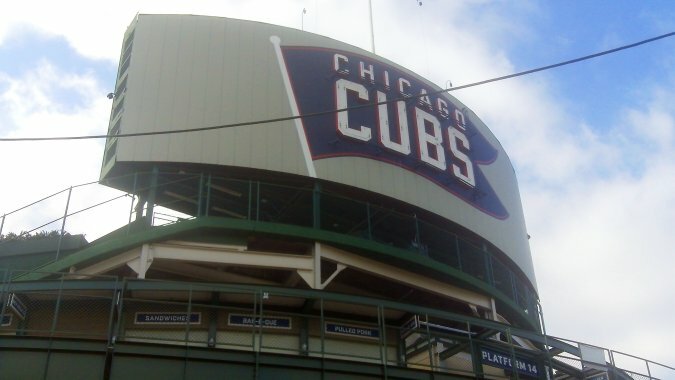 The barely-inhabited friendly confines of Wrigley, where we had the best hot chocolate we’d ever tasted, until two days later when we had some that was even better. 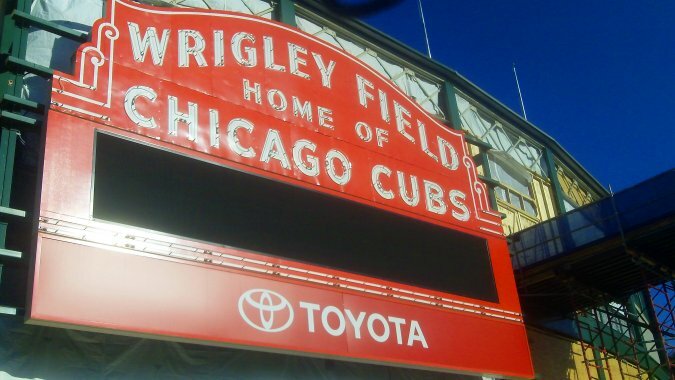 We will end this photo essay with one last look at the iconic sign outside Wrigley Field.